Paul is a mediator, arbitrator and investigator with ADR Chambers. Paul is a top insurance neutral with over 40 years of experience in the insurance industry. He is the founding principal of YorkStreet Dispute Resolution Group, a panel of neutrals focusing on mediation, arbitration, appraisal and neutral evaluations. His contribution to the insurance industry was recognized in 1996 when he was made an Honorary Member of the Ontario Insurance Adjusters Association. In 2009, Paul received the Award of Excellence in Alternative Dispute Resolution by the Ontario Bar Association. In May 2007, he was made a Fellow of the International Academy of Mediators (IAM). In 2011, he became a Governor of the IAM and in 2012 he served as Treasurer. In 2013, the IAM presented Paul with the President’s award and in 2015 bestowed upon Paul its highest honour, making him a “Knight” for his outstanding contributions to the organization. Paul was called to the Ontario Bar in 1972 after completing his LL.B. at Osgoode Hall Law School and was certified by the Law Society of Ontario as a Specialist in Civil Litigation in 1990. He served as a Deputy Judge of the Toronto Small Claims Court for more than 25 years. Paul has written in excess of 75 published articles on insurance law and mediation, as well as civil procedure and damages. He has been a speaker for the American Bar Association, ADR Section, and has presented papers on behalf of the Law Society of Ontario, the Ontario Bar Association and The Advocates’ Society. 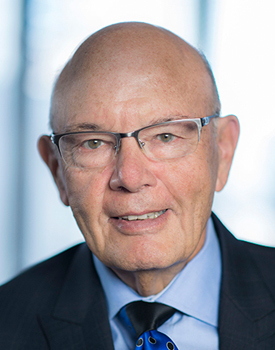 Paul was a Director of the Foundation Board of the Toronto East General Hospital for 12 years (1995-2007) and continues to remain as an Honorary Director of that organization. In 2013, the hospital declared him a “Hero” and held a dinner in his honour. Paul was a member of the Board of the Canadian Paraplegic Association for 10 years (2000-2010). He is now on the Board of Parasport Ontario.